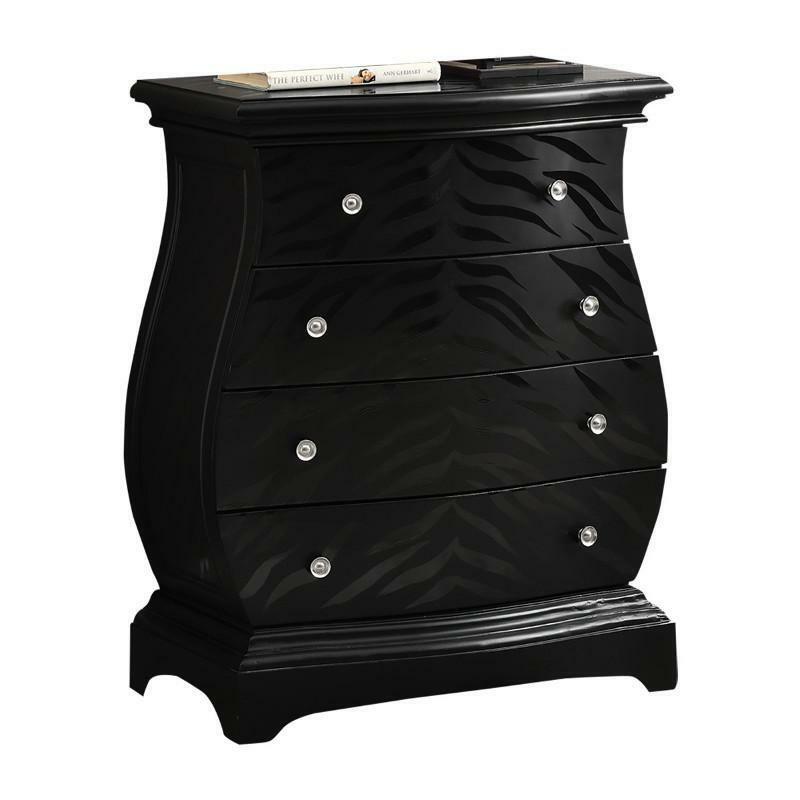 This Monarch Bombay Chest will bring class and style to any room in your home. 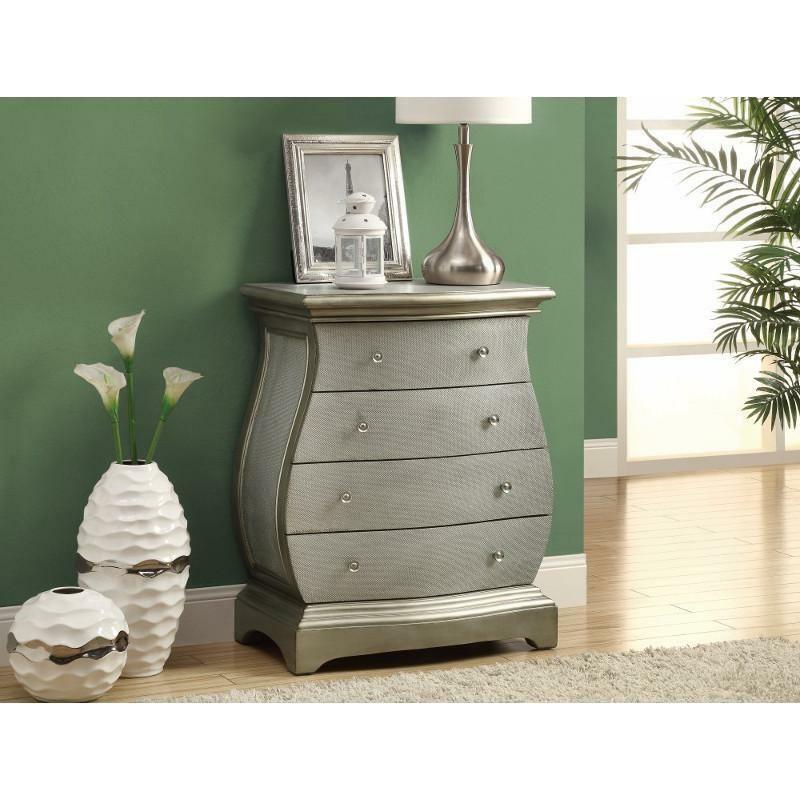 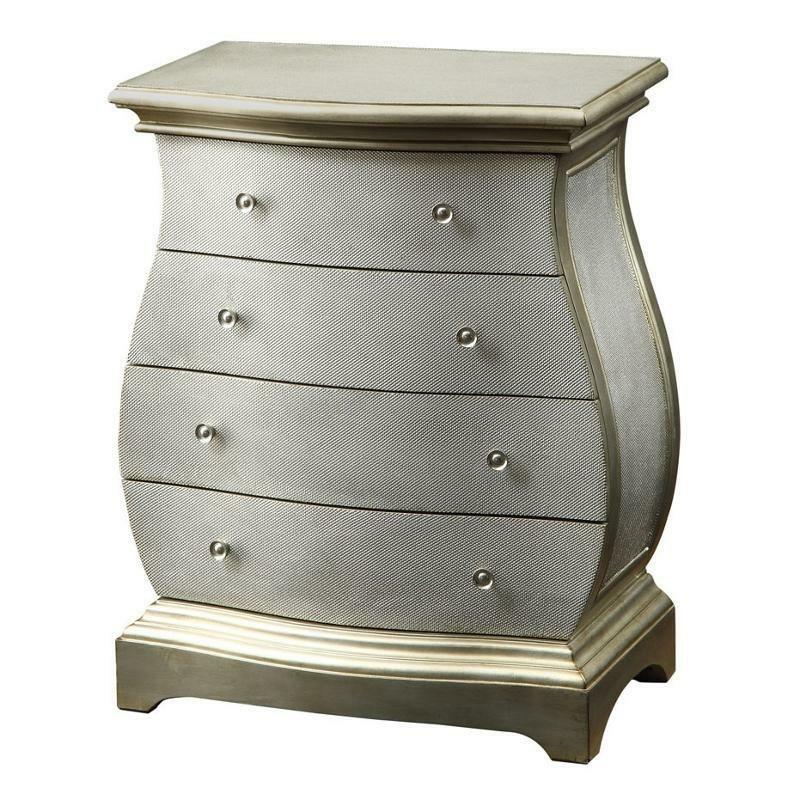 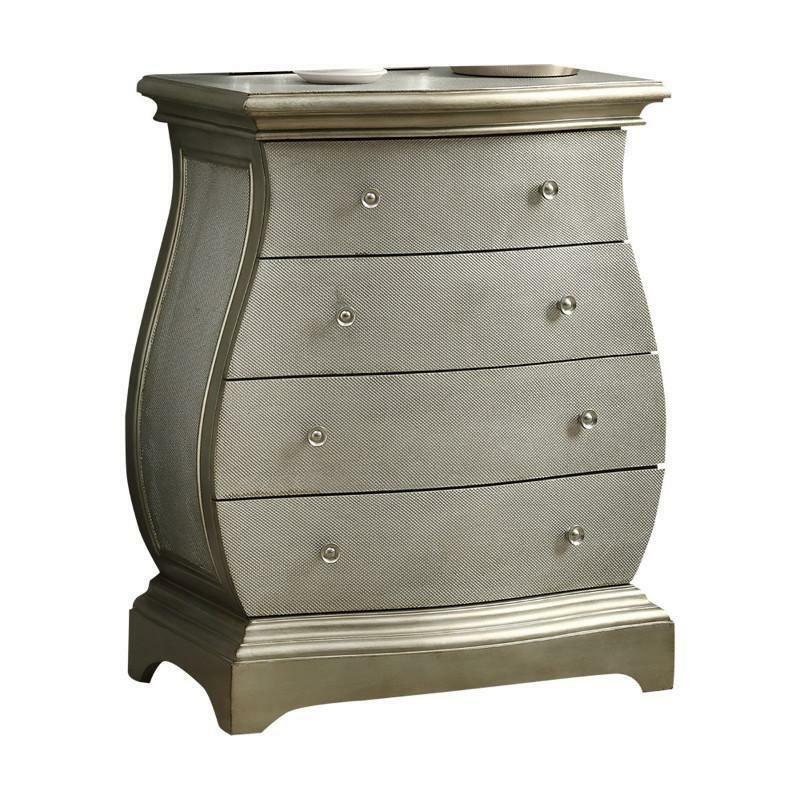 It features a stylish hour glass shape, four drawers and a brushed gold finish. 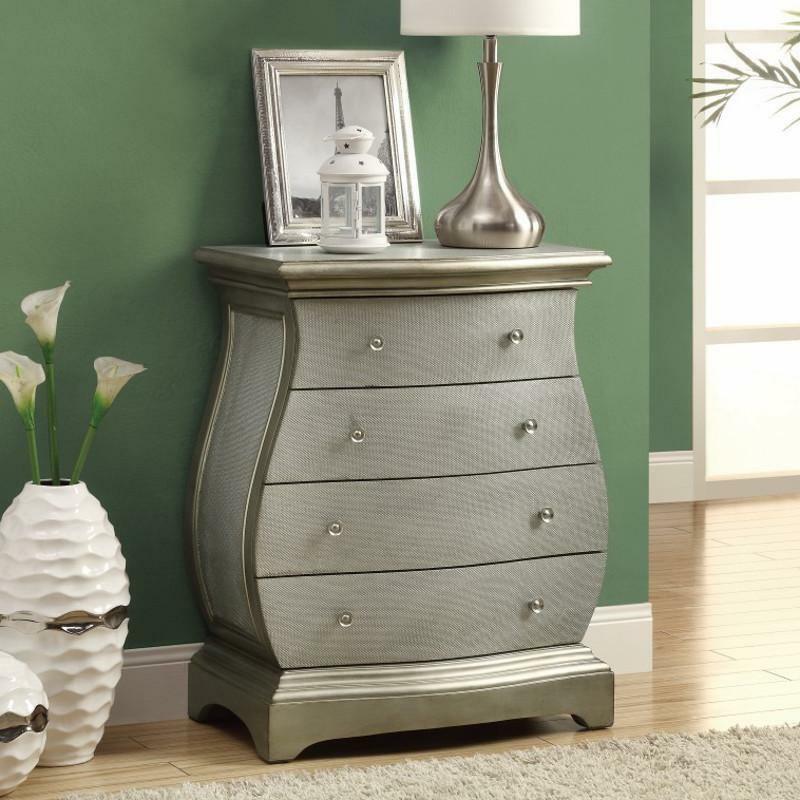 Detailed Lucite knobs adorn the industrial textured drawer fronts to make this piece a true fashion statement.